Even relatively minor motor vehicle accidents can be violent and jarring experiences. In the immediate aftermath, there are often inflamed tempers and lots of finger pointing. When accidents involve three or more vehicles, this can only add to the confusion. If you or a loved one has been injured in a car accident, truck accident, motorcycle accident, or any other type of accident, you may be entitled to financial compensation. 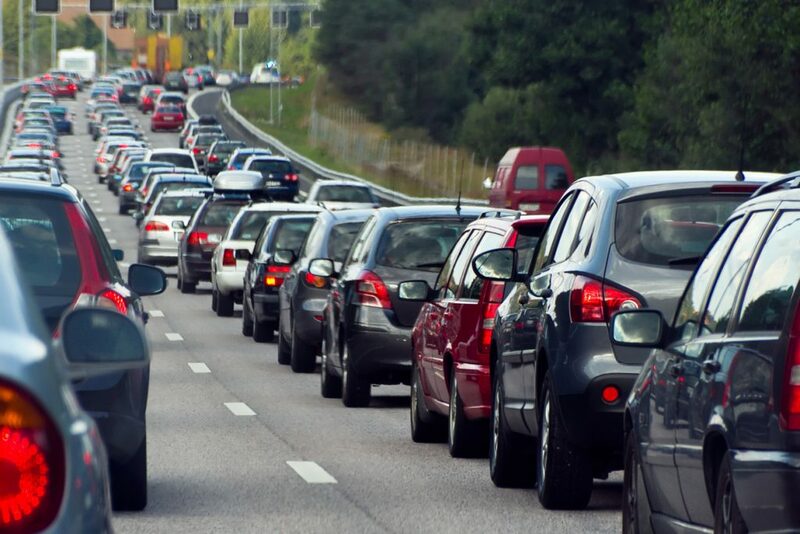 If that accident involves multiple vehicles, you will likely need some help with the next steps. At The Law Office of Chamlin, Rosen, Uliano & Witherington, our personal injury attorneys have decades of experience recovering compensation for victims of auto accidents in New Jersey towns including Ocean, Eatontown, Red Bank, Wall, West Long Branch, Asbury Park, FreeHold, Ocean County, and all of Monmouth County. We understand the legal complexities of personal injury claims with multiple vehicles. Lean on our experience and knowledge of local laws to secure your family’s financial future. Call our office today for a free and confidential consultation regarding your multi vehicle auto accident, your injuries, and your potential for a personal injury claim. As previously mentioned, motor vehicle accidents can be traumatizing. However, it is important to keep a clear mind in order to protect your legal rights. Here are a few simple next steps to take after being involved in any type or auto accident, and especially accidents involving multiple vehicles. Seek medical attention. This should always be priority number one for both your wellbeing and to get an official diagnosis of your injuries. The sooner you are able to see a doctor after your accident, the stronger your potential personal injury claim. Never admit fault. Human nature for many of us can cause guilt to take over when speaking to authority figures like police. It is a great idea to hold off giving too much information until you have had time to think it over and speak with your attorney. Do not sign anything. Insurance companies make a habit of preying on victims of recent accidents, offering cheap and fast settlements to pay for immediate expenses. However, these are almost always lowball offers, and are worth much less than that to which the victims are entitled. It is best to not sign anything without discussing the matter with a qualified attorney. New Jersey follows statutes of comparative negligence regarding personal injury claims. Essentially, this means that fault is assigned as a percentage to potentially one or more liable parties. This can get complicated quickly with multiple vehicles as that can mean multiple at fault parties. Here is a relatively simple example to illustrate how comparative negligence works. Driver X is sitting at a red light. They are texting while driving, which is a violation of state law. Driver Y is driving while under the influence of controlled substances. Driver Z is speeding and driving recklessly, ignoring posted traffic signs. Let’s say all three of these vehicles end up in a traffic collision. All of the drivers were breaking the law, and are therefore at least partially liable for the accident in question. A judge may determine that based on the nature of each driver’s actions, Driver X is 20% liable, Driver Y is 30% liable, and Driver Z is 50% liable for the accident (this is purely a hypothetical). In this case, Driver Z is ineligible to seek damages from either other driver, as they are assigned a greater degree of fault. In order to file a personal injury claim, the claimant must be found to be equally or less at fault for the accident than the party from which damages are being sought. Following this logic, Driver X may sue both other drivers, but Driver Y is only able to sue Driver Z. It is also important to note that claimants must deduct the percentage of fault from their total awarded damages. In the case where Driver X (who was determined to be 20% liable) is awarded financial compensation of $100,000, that individual would only receive 80% of that amount, totaling $80,000. As you can see, determining which parties are at fault, to what degree, and the total amount of damages recoverable can mean the difference between a settlement or verdict which protects your family’s financial future, and walking away without receiving compensation of any kind. When it comes to multi vehicle accidents, do not leave the outcome to chance. The personal injury attorneys of Chamlin, Rosen, Uliano & WItherington understand that with complex cases involving multiple vehicles, the devil is in the details. Even the slightest difference can easily mean tens of thousands of dollar differences in settlements and verdicts. That is why we take pride in offering our extensive experience to local New Jersey clients across towns like Long Branch, West Long Branch, Wall, Freehold, Red Bank, Eatontown, Ocean, Ocean County, and the greater Monmouth County area. We are led by a partner who is one of only 43 out of 80,000 attorneys to have been honored by the New Jersey Supreme Court as both a Certified Civil and Criminal Trial Attorney. Lean on our experience and knowledge of the law to find compensation in even the most complicated situations. To speak with a member of our legal staff concerning your auto accident involving multiple vehicles, contact us online or give us a call at our West Long Branch offices by dialing (732) 440-3950 today.